Snapchat is quickly becoming a very popular social media platform for millennials, and particularly college students. Specifically, one study found an astonishing 77% of college students use Snapchat daily. 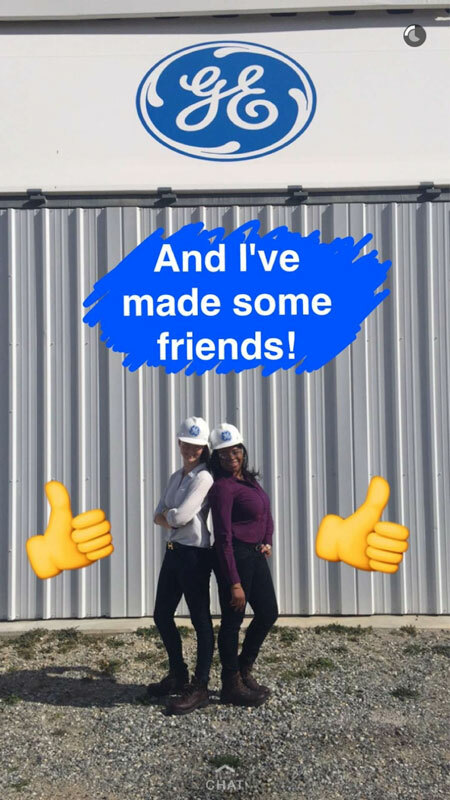 Companies are starting to get wise to that trend and are now using Snapchat as another channel to connect with young talent and help them recruit. GE is the latest to join the movement, using it as part of their “Owen” campaign to attract more tech talent to its ranks. Just for background, GE ran a series of commercials beginning late last year featuring a young man named “Owen,” who had just started a job as a developer at GE. In the commercials, his friends and family question why Owen would go to GE – known primarily as a manufacturing company – to become a developer. Owen then explains the technical work GE is now doing and the importance of that work. Later, GE posted videos of Owen climbing up a giant tower as part of his job. 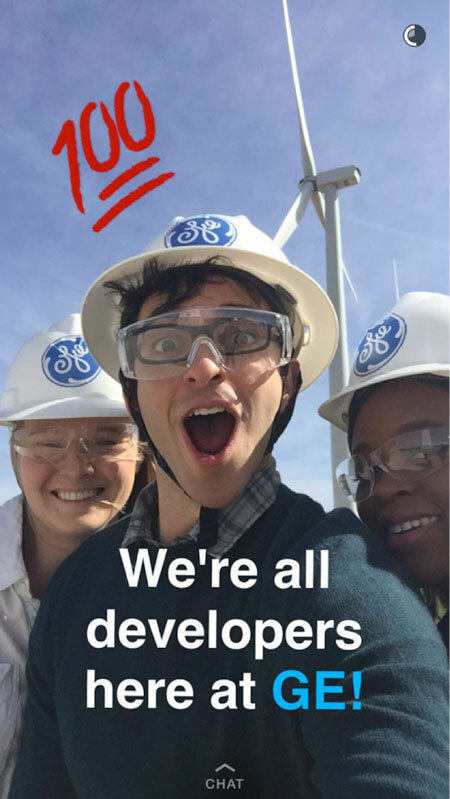 The goal is to show the excitement of the day-to-day lives of GE developers, along with highlighting the important work they are doing. Other companies have begun using Snapchat as another employer branding channel, and not just startups and tech giants. Goldman Sachs, for example, recently ran a Snapchat campaign to recruit college students. Beginning late last year, the investment bank ran a series of recruiting ads on the social media platform aimed at collegiates. 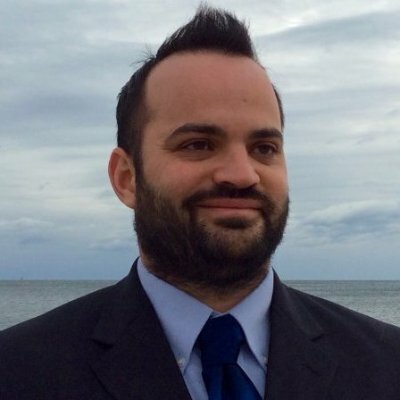 The ads advertised jobs like “Campus Environmental Leader,” “Youth Sports Coach” and “Crowd Funding Campaign,” and there was a link on each one to Goldman Sachs’ college recruiting portal. Interestingly enough, universities like NYU and Duke have also begun using Snapchat, among other social platforms, as a way to recruit high school students. First off, for those who don’t know what Snapchat is, the social media platform allows you to post pictures and updates to either all your friends or just to select individuals. The big difference between Snapchat and other social media platforms though is that posts to individuals delete within 10 seconds of being seen and public posts are deleted within 24 hours. It is quickly becoming another social media platform young people are using (at least for now), particularly college students. As mentioned, one study found more than ¾ of college students use Snapchat at least once a day. Bigger picture, to connect with talent, you need to employ a multiple channel effort. Yes, stalwarts like LinkedIn will always be a part of it, but it is also worth considering alternative platforms like Snapchat (or whatever comes next) as well.